In his latest book, the prolific writer and thinker Alphonso Lingis brings interdisciplinarity and lyrical philosophizing to the weight of reality, the weight of things, and the weight of life itself. Drawing from philosophy, anthropology, psychology, religion, and science, Lingis seeks to uncover what in our reality escapes our attempts at measuring and categorizing. Writing as much from his own experiences and those of others as from his longstanding engagement with phenomenology and existentialism, Irrevocable studies the world in which shadows, reflections, halos, and reverberations count as much as the carpentry of things. Whether describing religious art and ritual, suffering, war and disease, the pleasures of love, the wonders of nature, archaeological findings, surfing, volcanoes, or jellyfish, Lingis writes with equal measures of rigor and abandon about the vicissitudes of our practices and beliefs. Knowing that birth, the essential encounters in our lives, crippling diseases and accidents, and even death are all determined by chance, how do we recognize and understand such chance? After facing tragedies, what makes it possible to live on while recognizing our irrevocable losses? Lingis’s investigations are accompanied by his own vivid photographs from around the world. Balancing the local and the global, and ranging across vast expanses of culture and time, Irrevocable sounds the depths of both our passions and our impassioned bodies and minds. "In this rich and unique philosophical narrative, Alphonso Lingis recounts spiritual journeys from Incan Peru to the streets of Paris and Africa to Cambodia’s Truth and Reconciliation Trials. In conversation with Heidegger, he offers meditations on death, with Foucault on madness, with Nietzsche on extreme joy, and through phenomenology his thoughts on the paradoxes of time. Autobiographical vignettes and the author’s photographs serve as testimony to a profoundly philosophical life." "Alfonso Lingis has a singular presence in the pantheon of contemporary phenomenology. As a sparkling thinker of sensuousness, finitude, and excess (not to mention poet, photographer, and traveler) American philosophy would be an incomparably tamer landscape without him. 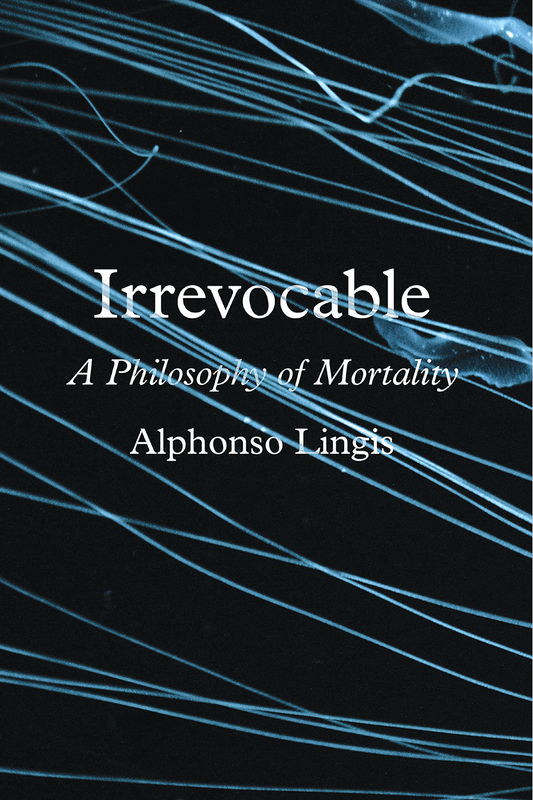 Irrevocable: A Philosophy of Mortality bears passionate witness to being alive." "More than anything else, Irrevocable provides something rare nowadays: it is a creature that’s not strictly academic, literary, nor autobiographical. Rather, it’s an odd, chimerical little volume. To read it is to listen to the heartbeat of a scholar who has read and written prolifically, watched the nameless dances of a moonlit tribesman, and thought deeply about what it means to live and die."